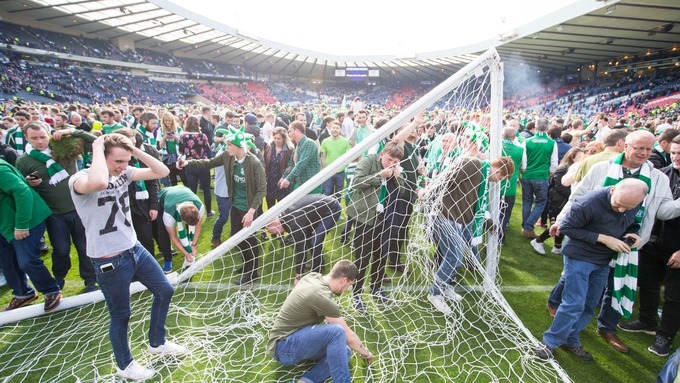 Can understand the Hibs fans being overjoyed at their late winner, but I don't comprehend at all why they kicked off the way they seemed to (I have only seen clips of the pitch invasion and didn't see the game). What would have happened if they had lost? And what a way to "celebrate" your first cup success since 1902 or whatever it was.